Just down the street from where Sandra Bueso lives is our community center which offers the 30-year-old mother just about everything she needs to raise her children. Educational programs to teach her three children to excel at reading. Playground and ball fields for her older kids to run. A new mother’s support group so she can better bond with her infant son. And, most recently: a job. 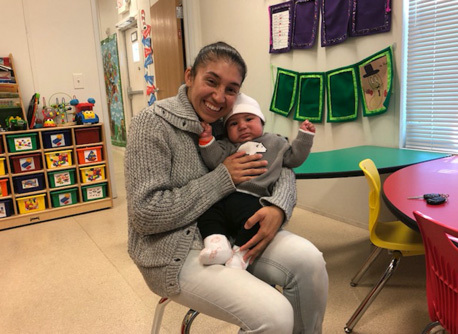 In November, Sandra became the Lake Worth West Resident Planning Group’s child watch specialist in charge of children whose parents are attending the BRIDGES of Lake Worth West programs. 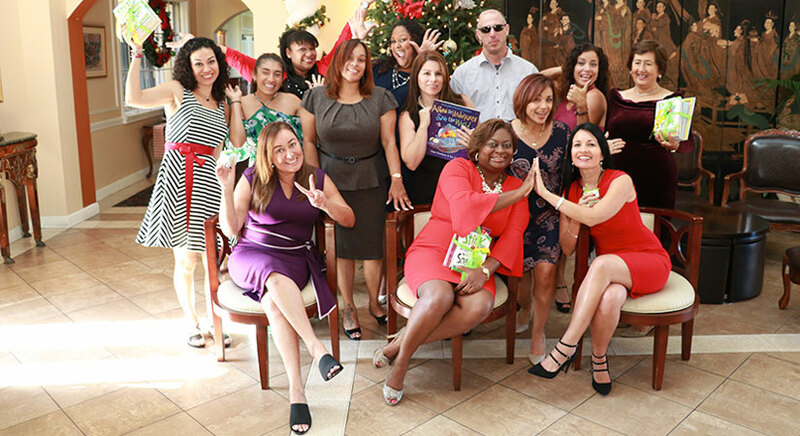 “I’ve been coming here for several years and now I get to work with kids – I’m so happy and grateful,” said Sandra, a native of Honduras who has lived in Palm Beach County for much of her life. Her new job requires her to babysit children while their parents take BRIDGES workshops and participate in other activities. But she’s taken on addition duties because she loves the job. She often does arts and crafts projects with the children and helps set up activities for the adults. Just weeks into the job, Sandra started envisioning a lifelong career as a teacher working with pre-kindergarteners. She didn’t go to college and doesn’t love higher learning but being around our center over the years has opened her mind to new opportunities and challenges. “I don’t love going to school, but I see myself in this field. I love the children and I love working with their mothers,” she said. Rhonda Rogers, executive director of Lake Worth West Resident Planning Group, said Sandra has taken her job to another level. “Sandra is planning and researching the activities. She’s great at this job,” Rhonda said. Sandra is also offering advice to Lake Worth West Resident Planning Group’s Early Childhood Learning Collaborative, a group of community members that work to overcome school and educational challenges in their neighborhoods. Right now, the group is looking at ways to encourage parents to send their kids to school regularly, and Sandra provides good ideas from the perspective of a parent. Learn about other Lake Worth West Resident Planning Group staff members here. Fall in love with reading – it will open new opportunities for success. That was the message of middle grade novelist Donna Gephart, who spoke during our inaugural #KidsMatter Literacy Luncheon and Silent Auction on Nov. 30 at the Benvenuto Restaurant in Boynton Beach. The author of Lily and Dunkin, Death by Toilet Paper, How to Survive Middle School and other books told a crowd of more than 60 attendees that she grew up in a working-class neighborhood of Philadelphia and spent much of her free time in a library reading books on just about any topic. “That place changed my life,” said Gephart, who went on to become a popular speaker at schools, conferences, and book festivals, and now lives in South Florida with her family. The #KidsMatter luncheon was a fundraiser for a new program at Lake Worth West Resident Planning Group that will aim to change the lives of middle school students. Proceeds from our event will be used to start afterschool and summer camp programs for middle school students, so they are better prepared for high school and beyond. The funds will also go to literacy programs for our children and youth. 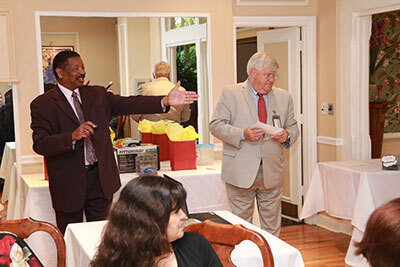 At the luncheon, Chief Deputy Michael Gauger of Palm Beach County Sheriff’s Office and Houston Tate, director of Office of Community Revitalization for Palm Beach County, also discussed how Lake Worth West Resident Planning Group has made a major difference in the lives of hundreds of people during their times of need. Over the years, the community just off Military Trial near Lake Worth Road was cleared of crime, drugs, and dilapidated houses and turned into a model neighborhood complete with a playground, ballfields and a community center, which offers programs for residents to become better parents and help their children succeed in school. Rhonda Rogers, Executive Director/BRIDGES Director at Lake Worth West Resident Planning Group, said the community will continue expanding programs because the residents are committed to their neighborhood, and organizations like the Sheriff’s Office, the county government, Children’s Services Council of Palm Beach County, and many others are dedicated to funding programs and improvements. “We have great support in the community,” Rogers said. And now, there’s new support from friends of Lake Worth West Resident Planning Group through the #KidsMatter luncheon. Rogers plans on the luncheon becoming an annual event to serve not just as a fundraiser for the organization but also bring attention to the importance of reading. “Reading is key to everything,” she said. Learn more about upcoming Lake Worth West Resident Planning Group events here. 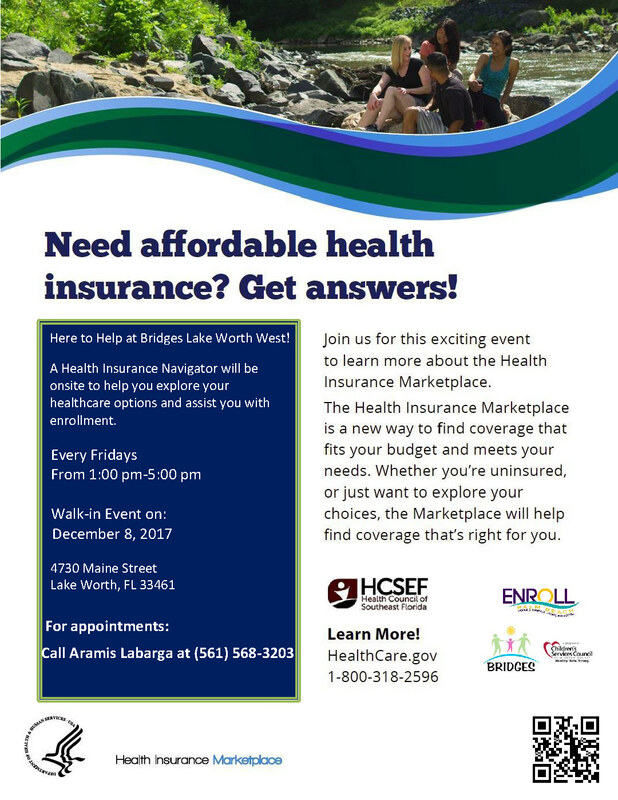 Join us for this exciting event to learn more about the Health Insurance Marketplace. 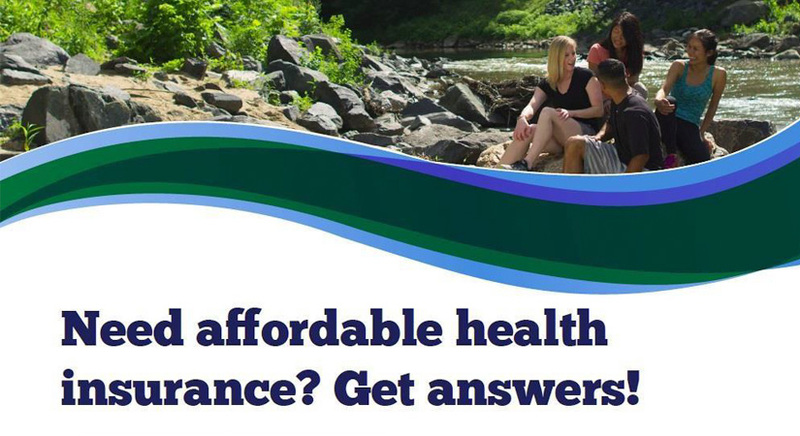 A Health Insurance Navigator will be onsite to help you explore your healthcare options and assist you with enrollment.